About how long does it normally take for them to be comfortable with releasing the data? About how long does i﻿t normally take for them to be comfortable ﻿w﻿ith rele﻿﻿asi﻿﻿﻿ng the data? If we go by Soviet analogy? Several months to never. Here is! The first picture captured on the far side of the moon! Hey! That’s MY shade of blue! 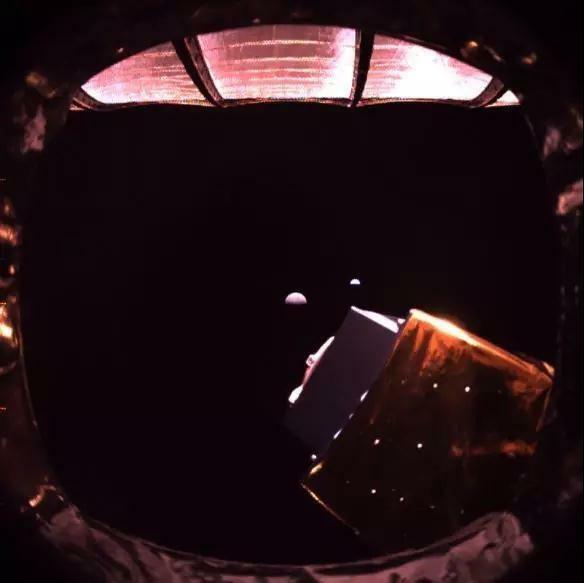 Actually, this is common in every scientific mission : for NASA, normally the principal team (and whoever else is "interested", geddit) has an exclusive 1-year right to own & analyze the images. So stuff that you see right off the bat on those missions are still not the full capabilities of the instruments - those are only made public (at least) a year after. Sometimes there are images that is deemed to be of low scientific value for the team, these can be made public faster. Given the amount of collaboration they have with other parties they're probably on similar terms as well. For us here in China it's been 2019 for 3 days, but who cares? Gah, you're right, timezones- actually, now it's 3 days here too. Doesn't make it any less amazing, though. We've had OSIRIS-REx orbit insertion in these 3 days too, so still a milestone a day! Does anyone know when the corresponding data was released for Chang'e 3? Maybe we could base our predictions off that. 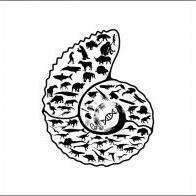 the data I found was CE2, publish on 2018-4-4. OK I found the data from CE3 from above but it doesn't mention that when they upload it. 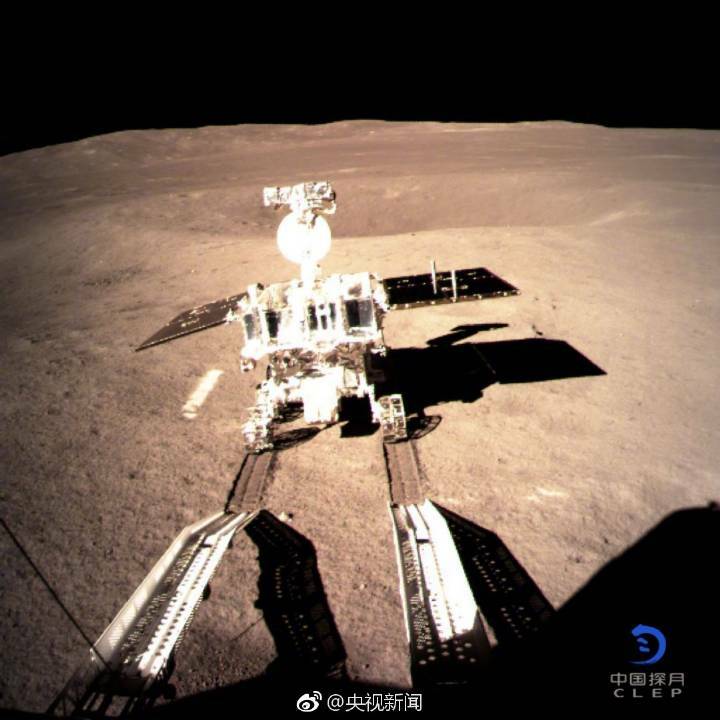 The Rover Yutu-2 has successfully released from Chang'e-4 at 14:22 UTC. Here is the photo of the wheel of Yutu-2 before release. @050644zf where do you get the pics ? Would you be able to help finding the streams from CNSA in their instagram/twitter-like things ? I heard one of their youtube-like platform has recently implemented a livestream of sorts, if you found them would you be willing to share it here ? I know they haven't completely closed all doors - it's just now all the remaining doors are in Mandarin. @050644zf where do you get the pics ? Would you be able to help finding ﻿the streams from CNSA in their instagram/twitter-like things ? I heard one of their youtube-like platform has recently implemented a livestream of sorts, if you found them﻿﻿﻿ would you be willing to share it here ? 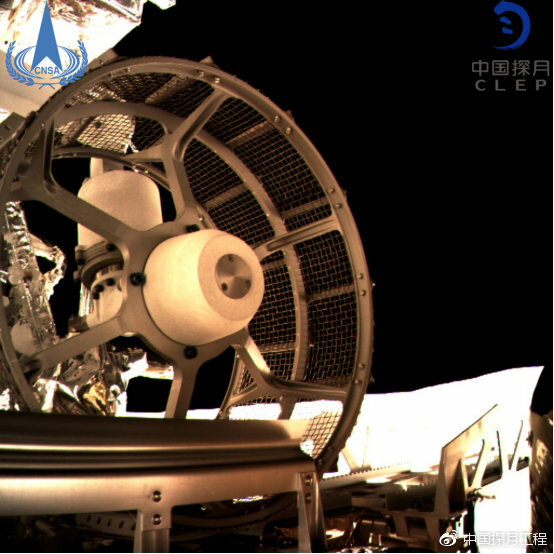 The picture I get is from weibo China Luna Exploration Project. Actually, we also can't see any live stream at all now. All the recorded video we get is from CCTV only. Indeed, we have far less doors than before . w﻿e﻿ also can't see any live stream at all now﻿. I know they probably don't have a livestream right now (not very impressive watching people in a control room cheering at their personal screens I suppose, and I doubt they're cheering as those in SpX do, or even just claps as with ESA), but if they launch anything in the future, be it a new Shenzou, or another probe, or another new launch vehicle, would you be willing to share it with us ? Thanks for sharing the weibo ! ﻿﻿ Thanks for sharing the weibo ! I will, if I have time. 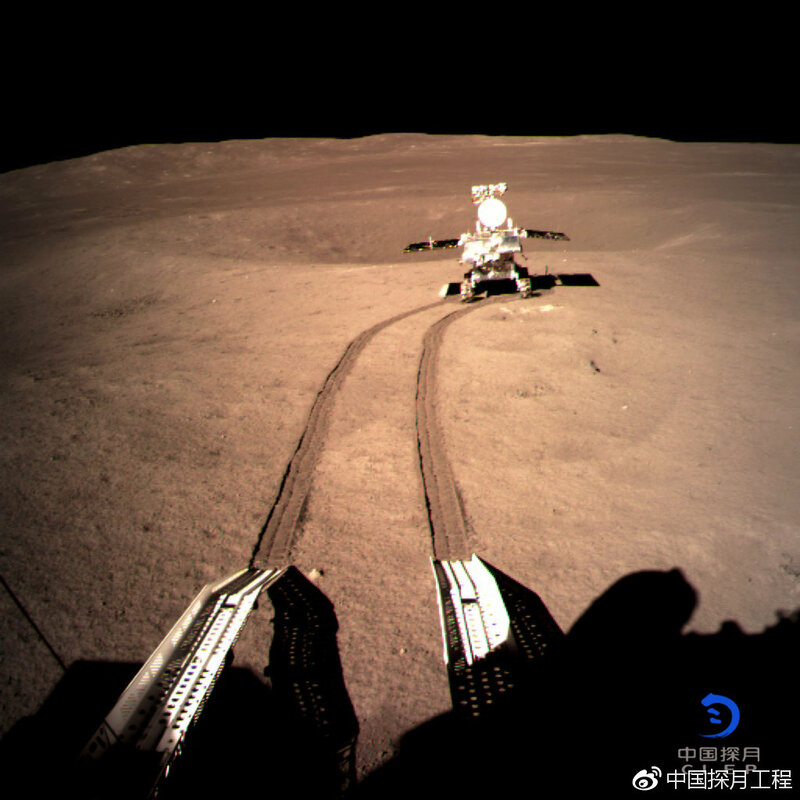 Photo captured by Chang'e-4. Yutu-2 now start his journey! I ran out of likes for the day. Thank you for posting these pictures. The rest of the Spaceflight community seems to have adopted in the past few years. Especially ESA, JAXA, and CNSA, im not sure about Roscosmos, NASA, and ISRO though. 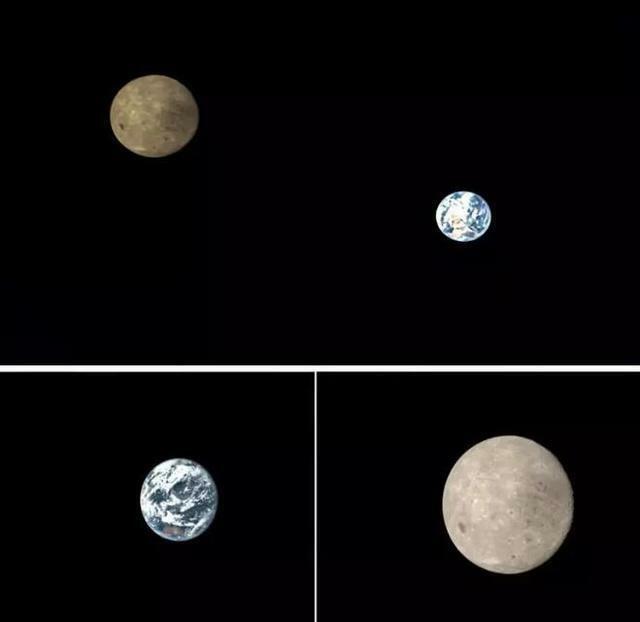 While I'm still waiting for the photo from Yutu-2, the development team of camera on the Relay Satellite Queqiao from Zhejiang University released some photo taken from Queqiao at L2 by its Double Resolution Camera. 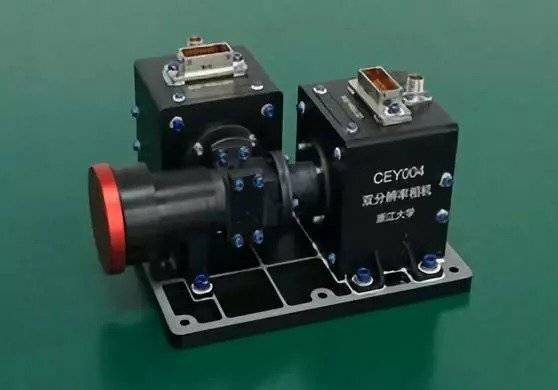 Introducing the Double Resolution Camera on Queqiao developed by Zhejiang Univeristy, which can capture two photos with different resolution at once. A wide-angle photo, you can see the satellite itself, the earth and moon. A close-up shot of moon. Finally, here is a group shot of earth-moon system taken at L2 on July 14,2018. The team is going to do some improvement of camera in the second half of 2019. BTW, according to the latest TV news, the estimated life of Queqiao will be up to 10 years, thanks to the improvement of usage of propellant. So it will support more lunar exploration mission in the future. 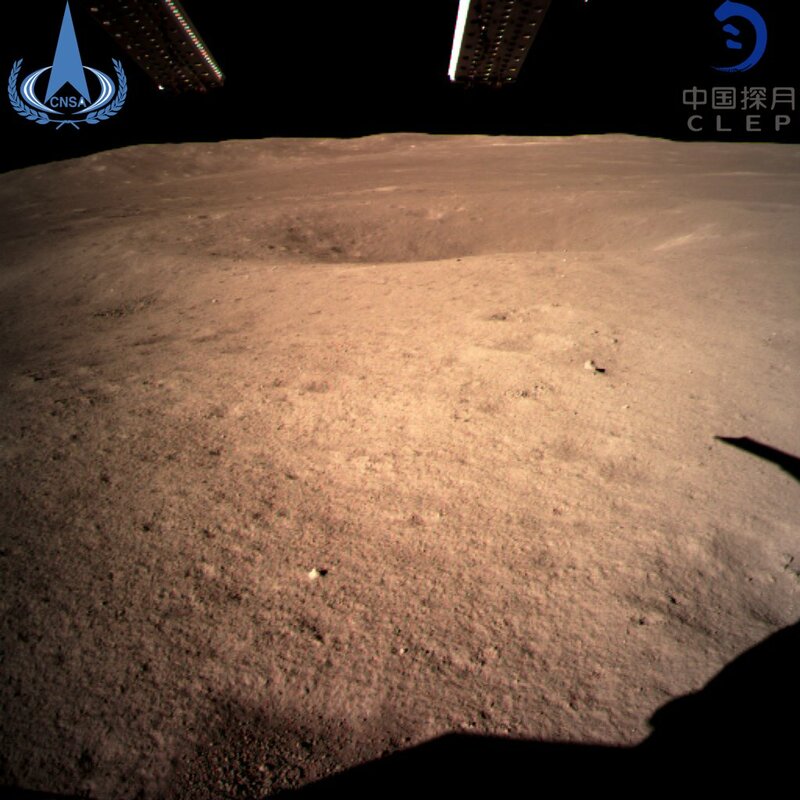 New photo from Chang'e-4 shows that Yutu has driven away. 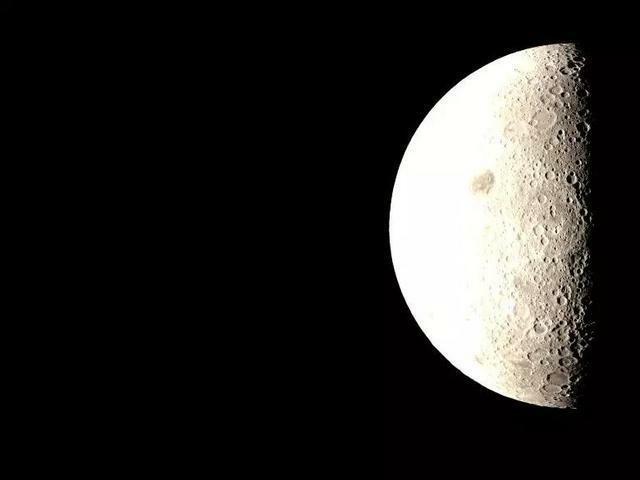 To overcome the high temperature environment on the moon, Yutu-2 will "fall asleep" until Jan 10. As for Chang'e-4, three 5 meter antennas ,as part of the Netherlands-China Low-Frequency Explorer (NCLE), have deployed. And the Lunar Lander Neutrons and Dosimetry (LND), a neutron dosimeter developed by Kiel University in Germany, was boot up and started testing. Why temperature issues? 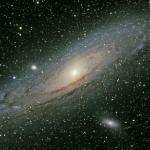 Assumed moon had two settings, grill or cryogenic and no power to solar cells? On the other hand China tend to top load rovers on probes. It has worked twice. Think Soviet did with their lunar rovers, US tend to go for skycranes. Also tend to be an better idea in KSP because of parts. But with the new foldable wheels you could probably do top loaded. It's getting close to noon at that location, if I'm understanding things correctly, and that's the point at which it's hardest to reject heat from the rover's systems. At midday on the Moon, temperatures can easily top 140C, and it lasts something like 60 hours. There's no atmosphere there, so rejecting heat is a serious issue.